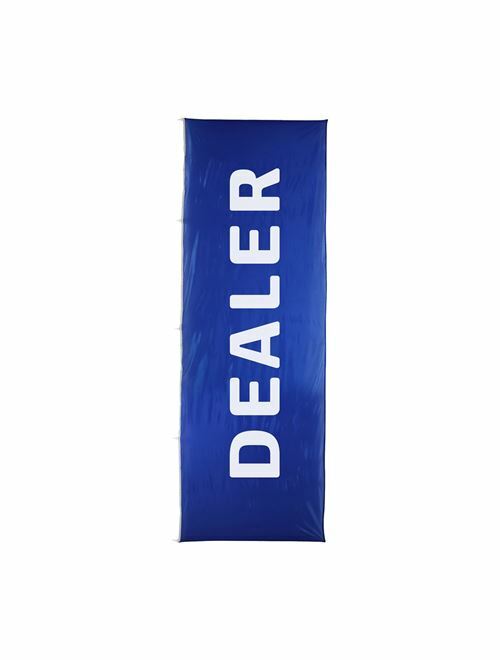 Customised set of 3 Dealer Flags for use with a rotating pole. Blue background with white lettering. Dimensions: 4.5m x 1.5 m - flags are printed digitally, therefore company name must be sent with order or by emal to iveco@jakala.com. The production time for customised flags is 25-30 days. For orders containing multiple products shipping will be dependant upon production date of customised flags, if order is urgent you may want to place separate orders.